Bonfires of Saint John (Spanish: Hogueras de San Juan, Valenciano: Fogueres de Sant Joan, Galician: Noite de San Xoán) is a popular festival celebrated around 24 June Saint John's day. San Juan is celebrated with bonfires on the beach, lasting all night through the night of the 23rd. At midnight everyone rushes into the sea to symbolise the baptisms by John the Baptist. The theory is that you wash your feet in the sea to cleanse your sins. There is also the tradition of jumping the bonfire, to burn away your sins. 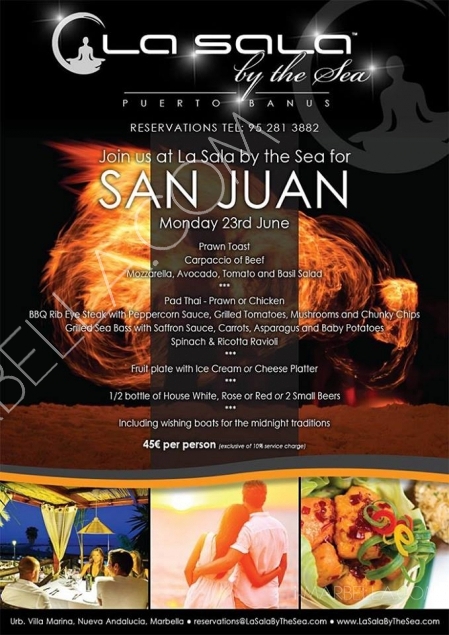 Sylt is inviting you all to come and celebrate the night of San Juan on Monday, 23rd of June, on the beach. Live performance by K:Miss & The Soulbelle and there is also an option to pay €20 for unlimited sardines! 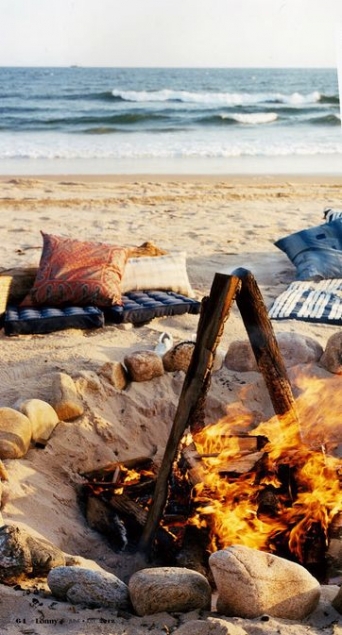 Come enjoy the bonfire, drinks and good food all night in Sylt beach club. 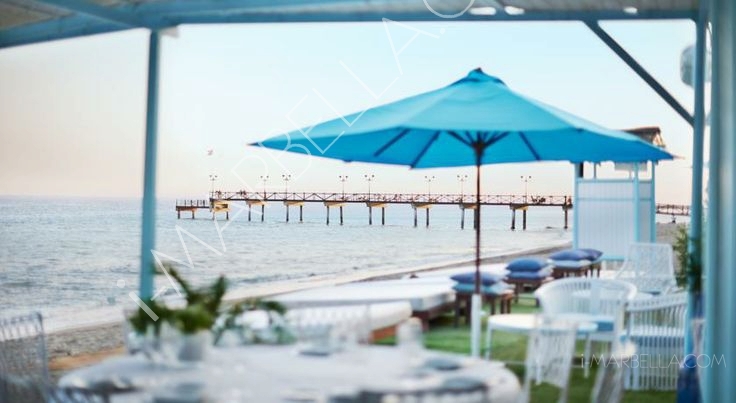 Sylt Marbella, located on the beach of Las Chapas, one of the best beaches on the Costa del Sol, revisits the German island of Sylt, that is known as natural paradise of dunes and crystal clear waters. Decorated with a natural and unique style, you can enjoy a fresh, delicious cocktails, always accompanied by excellent music and good atmosphere. 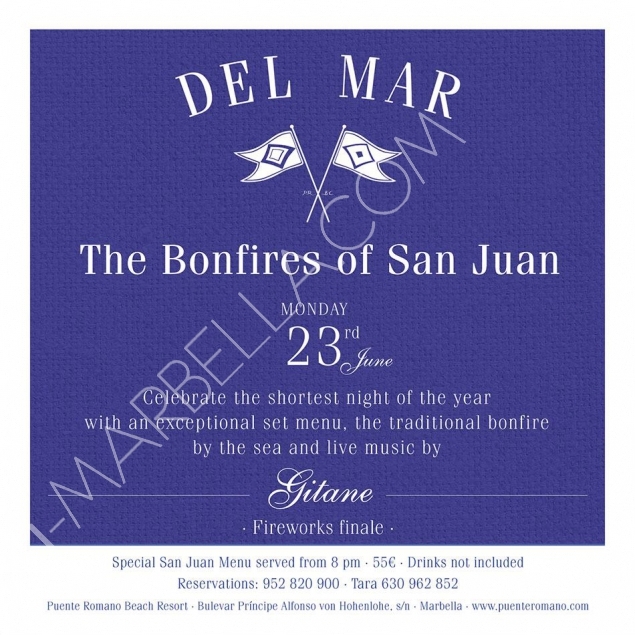 Celebrate the shortest night of the year with an exceptional set menu, the traditional bonfire by the sea and live chill our flamenco music by Gitane. Also, expect a fireworks finale! Special San Juan Menu served from 8pm for €55, drinks not included. 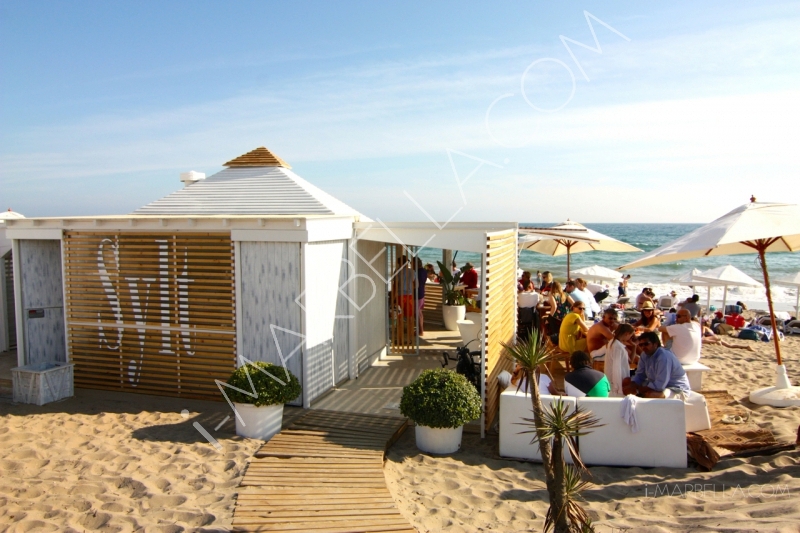 Marbella Club Hotel is holding their legendary San Juan party at the beautiful MC Beach. The MC Beach is the ultimate in style: sun beds, music to chill to, blues and whites melting together in the reflections of the waves. What wish will be granted on this magical night? Don´t forget to reserve your spot! Happy San Juan from i-Marbella!